Toyota didn’t provide precise megapascal tensile strengths for the 2016 Lexus RX also announced Sept. 8. 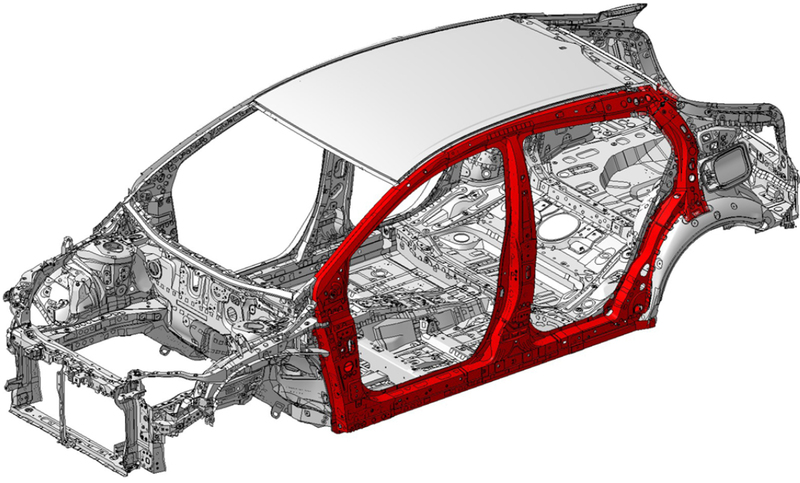 However, it appears as though there’s a great deal of ultra-high-strength steel in the RX based on Toyota’s comments, the need for larger vehicles like the crossover to shave weight, and the luxury demand for a stiffer ride. 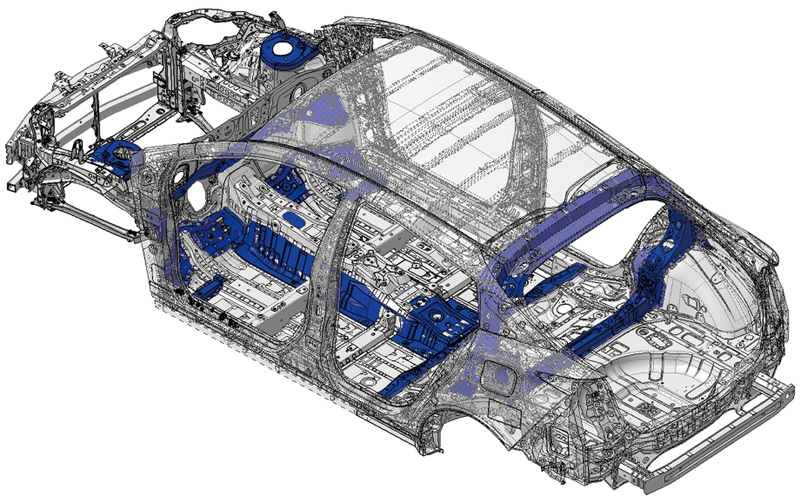 “A number of cutting-edge technologies have been applied to the RX’s platform to help optimize structural integrity as well as overall rigidity,” Toyota wrote in a September news release. 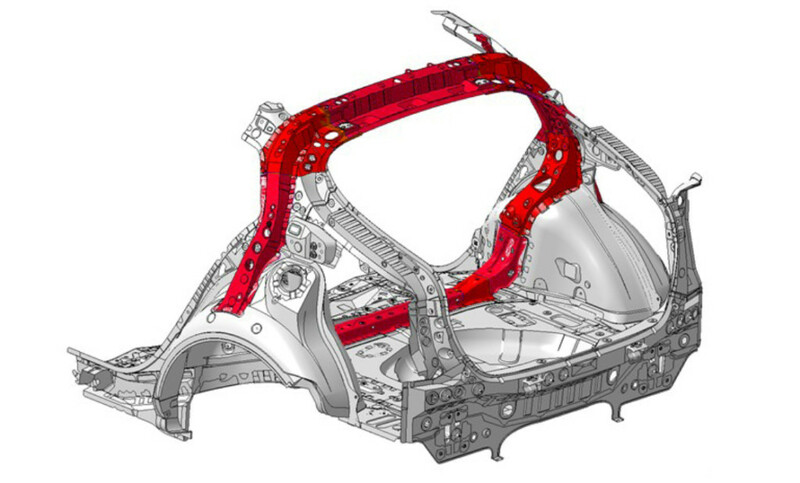 “These include increasing panel joint strength through the use of high-tech body adhesives and laser screw welding; liberal use of high-tensile strength steel throughout the vehicle including key areas such as the underbody cross members and front (A-pillar) and middle (B-pillar) sections; the implementation of a new process called ‘annular frame construction‘ for strengthened frame sections within the vehicle around the front and rear doors; and redesigned body frame sections and additional spot welds around the rear portion of the vehicle for enhanced strength and handling. Like the Prius, the RX has Bi-LED lights standard; it also includes “convenient door handle illumination.” Other snazzy and potentially severity-jacking electronics besides the Safety Sense + include an optional touch-free hatch — put your hand near the Lexus “L,” and it’ll open — and a HUD projection option. 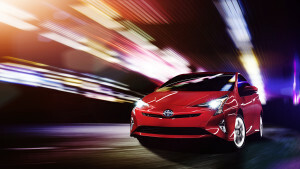 Automotive refinishers should know the RX comes standard with a “scratch-resistant self-restoring coat,” which Toyota says can prevent fingernail marks and also preserves the luxury vehicle’s gloss. The luxury crossover sold more than 107,000 last year, so like the Prius, it’s worth making sure you’re up to speed on repair procedures and what’s different in the new generation.